When you leave a comment on THIS post by 6 p.m. CT Sunday, February 23, 2014 you'll be entered in the DRAWING for a copy of the book I mention below. If you mention in your comment that you’re a follower (see in the left column “Join This Site” and “Follow by Email”), I’ll add your name a second time in the drawing. You must have a U.S. mailing address. You can read details about my book giveaways at Disclaimers. 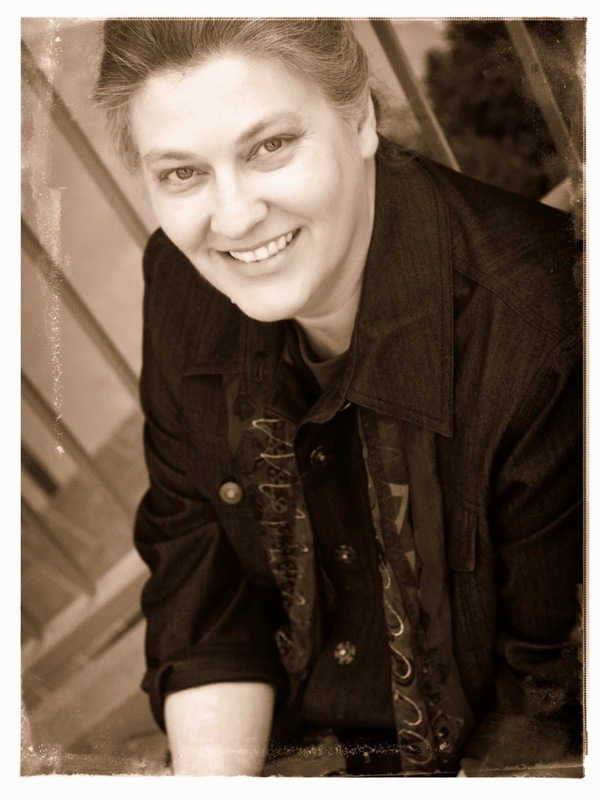 Our guest blogger is Pam Hillman, author of Claiming Mariah. Pam was born and raised on a dairy farm in Mississippi and spent her teenage years perched on the seat of a tractor raking hay. She didn’t mind raking. Raking hay doesn’t take much thought so Pam spent her time working on her tan and making up stories in her head. Now, that’s the kind of life every girl should dream of! Claiming Mariah is her second novel. Welcome, Pam. Please describe yourself with three words. Please tell us a little about your novel, Claiming Mariah. One reader’s review starts out “Hunky bad-boy hero. Beautiful, desperate heroine…” I love it! She was looking for a good read and got it. That makes me happy. Another reader took away a reminder to forgive and to pray for those who have hurt or offended us. Yes, she loved the story (yay! ), but the spiritual aspect spoke to her as well. I like that, too. I hope readers take away something that correlates to what they brought to the table when they started reading, whether that’s simply a sigh of satisfaction, or a deeper understanding of moral or spiritual question they’ve been struggling with. I think I would want to have dinner with Mary, the mother of Jesus. I would ask her what Jesus was like as a child. Was he a happy, laughing child, or a very serious one? What were her hopes and dreams, her fears? We’d spend the entire time talking about the 33 years he walked this earth. What do you find the most enjoyable about writing? I enjoy the early stages of dreaming up a story when that first little nugget of an amazing idea or character starts germinating. Eventually, I plot myself into a corner, and the real work begins! Do you have a nugget of writing advice that has completely changed how you view writing? When I first started writing, I didn’t realize how much I didn’t know about crafting a well-thought-out story. It’s not that I didn’t have the passion to write, or some unique ideas, or that they weren’t perfectly well-formed in living color inside my head, but I had a long way to go to get those stories onto paper so that readers would enjoy them. I’m still working on that! Readers can find me at website. From there, they can sign up for my newsletter, read my blog, connect with me on Facebook, Twitter, Goodreads, and Pinterest. I look forward to meeting new friends. Where can readers purchase Claiming Mariah? Print and digital versions of Claiming Mariah can be ordered online or found in retail bookstores. All the buy links can be found at the books page of her website In addition, I’m very excited to report that Claiming Mariah can be purchased at Wal-Mart. Thank you, Jo, for inviting me for a visit. I’d love for your readers to stay in touch either on facebook or by signing up for my newsletter. Thank you, Pam for this interesting interview. One of the commenters on this post will receive a copy of Claiming Mariah which you graciously offered. 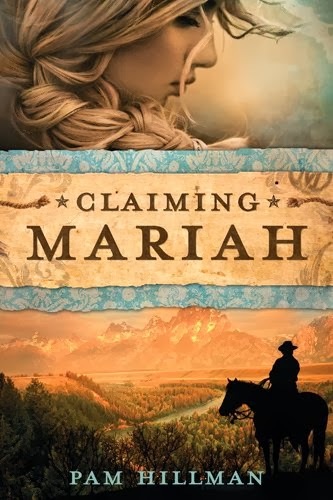 Remember: leave a comment on THIS post by 6 p.m. CT Sunday, February 23, 2014 and you'll be entered in the drawing for a copy of Claiming Mariah by Pam Hillman. Please, please remember to leave your email address. I’ll need your email address so that should you be the winner I can get in touch with you. I’ll announce the winner in Monday’s blog. In addition to Jo's giveaway, there are five copies up for grabs on Goodreads. Goodreads members can hop over there and throw your name in the hat to win a copy. Claiming Mariah Goodreads Giveaway! Ends February 28th! Pam, we're glad you're visiting with us. Thanks for mentioning the Goodreads giveaway! Thanks Jo and Pam. I have been wanting to read this book. My email is teshaw(at)sbcglobal(dot)net. I am also a follower of the blog. Have a great weekend. Tammie, glad you stopped by and left your comment. I appreciate you following my blog! Claiming Mariah sounds wonderful. Please enter me in contest. Thank you for the opportunity to win.augustlily06(at)aim(dot)com.Have a wonderful weekend. Emma, you're entered in the book drawing. Thanks for leaving your comment. Thank you for following my blog. This book sounds wonderful. Thank you both for sharing your talents. It is greatly appreciated. Melanie, thanks for your kind words about our talents. Glad you came by and left your comment. Thank you for the opportunity to win! It sounds like a great book. Please enter me to win. I also did the "follow by email"
Charissa (okay, Emma, I like Charissa's name too! But you're still my BFF! lol) Lovely name, Charissa. I've never seen that before. Is there a story behind your name? And thank you for stopping by and reading the interview and throwing your name in the hat to win a copy of Claiming Mariah. I'm so glad you are following my blog! Thanks for coming by and leaving your comment. Don't enter me as I am already blessed to have my very own ecopy of Mariah! lol - Do you realize how hard it is to describe yourself in 3 words???? Thanks for stopping by, Jules. You're the best! Julie Lessman in 3 words !!!! Impulsive, Crazy, Awesome !!!! LOL ok Godly, Driven and Inspiring !!!!! Thats Jules to a T ! Linda Marie Finn... in 3 Words... thats harder ! On a good day: Godly , Driven and Outgoing ! On a bad day: Tired, Weary and Seeking... I like my good days and cannot stand to be having a bad day. Julie, thanks for stopping by and chatting. Great interview with such a talented writer!! Loved Claiming Mariah. And don't enter me--I have a copy. Pat, thanks for leaving your comment. I won't enter you in the drawing but glad you came by. Karen, thanks for coming by and commenting. Karen, so glad you came by. God bless you and have a great week! Enter ME !!! Boy I have entered so many giveaways to try to win this book this year its not funny ... I have been wanting to read Pam's book since the first time I saw the cover ! There is just something about Art that appeals to me. I majored in Art for 4 years and in Business too. But color, design and a well put together book cover just draw me to a book or it kills my desire to even read them. OK, honest assesment in 3 words...Driven, Artistic, Entrepreneurial ! Thats me to a T in every thing I do... Hows that Jules ? !!!! Linda, you're entered and glad you stopped by to leave a comment. Enjoyed reading the blog today and about your book. It sounds like one I would enjoy reading. Jackie, thanks for reading the blog today. Glad you enjoyed it. Thanks for leaving your comment. Jackie, thank you for stopping by and reading the interview and a bit about Claiming Mariah. If you enjoy western-set romances, then I think you'd enjoy it. :) God bless! Thanks for the interesting interview!! I haven't read any of Pam's books, and would love to read "Claiming Mariah"!! It sounds like an exciting book!! We have a couple of things in common, Pam!! I grew up on a dairy farm in Ky., and used to drive the tractor also. When I was asked who I would like to have dinner with - my answer was Mary, also. Like you, I would love to know what Jesus was like while growing up, and would want to ask what her feelings were about His crucifixion, resurrection, and the plan of salvation. Bonnie, you're welcome. Glad you liked the interview with Pam. I appreciate you following my blog! Bonnie, really?? You grew up on a dairy farm? How come I don't know this??? Julie, thanks--glad you enjoyed the post. Wait, who's one hot babe...Julie or Linda? I am confused! ha! Jo, Jules and I have been all the way to Australia today and back...seems everywhere I went Jules had already been there, some places there and back twice...Isn't life fun when we can lovingly joke with each other but yet we know each other so well. thank you for entering me ! I do so want to read this book !!! Linda, thanks for commenting. I NEED YOUR EMAIL ADDRESS IN ORDER TO ENTER YOU IN THE BOOK DRAWING. I see your email address above. You're entered. I'd love to read a book from Pam! Great interview! Andrew, glad you enjoyed the interview. I NEED YOUR EMAIL ADDRESS IN ORDER TO ENTER YOU IN THE BOOK DRAWING. Andrea, thank you for stopping by. Good to see you here! I have Mariah, but I can't resist the opportunity to say hi and root for the home team. This book is excellent. Tina, thanks for coming by and leaving your comment. Aw, shucks, Tina. Thanks for the shout-out! Btw, I'm quoting you in Seekerville tomorrow. Ha! thanks for the chance to read this wonderful novel, jo...I'm a follower, too. Karen, glad you came by and left your comment. I appreciate you following my blog!